A baseline inventory of Crested Butte’s greenhouse gas emissions indicates there is opportunity in town to curb such emissions and become more sustainable in terms of energy use. Addressing ways to reduce emissions generated from electrical use in Crested Butte buildings appears to be a place to start. Dr. Abel Chávez, director of the Community Solutions Incubation and Innovation (CS21) Lab of Western State Colorado University, compiled the inventory and associated report. He gave a report to the council in July and explained that the baseline study is intended to be a “conversation starter” with the community. 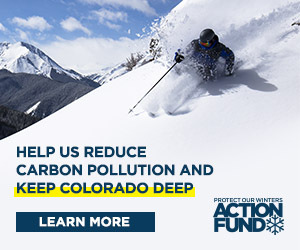 Chávez said Crested Butte’s footprint is pretty average and in line with most of the United States in terms of metric tons of carbon dioxide produced. It is estimated the town emits about 51,000 metric tons of CO2 annually, with 48 percent of that coming from electricity use. The town’s electricity use is above average according to the report; that is the largest single contributor to the emissions figure. “We definitely need to look at the county plan and develop our own plan in collaboration with the county,” said Crested Butte councilman Chris Haver. “It seems like the political will is there in town,” added councilman Will Dujardin. Any community members interested in getting involved can contact Earley at town hall or by calling (970) 349-5338.